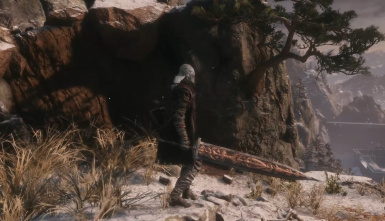 Bloodborne weapon Ludwig's Holy Blade with long in-game attack distance. "A trick weapon typically used by Healing Church hunters. It is said that the silver sword was employed﻿ by Ludwig, the first hunter of the church. 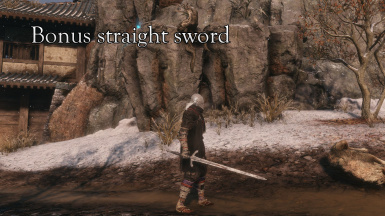 When transformed, it combines with its sheath to form a greatsword. It exhibits several departures from the workshop's design, suggesting that the Church anticipated much larger inhuman beasts." Ludwig's Holy Blade is a weapon in Bloodborne. 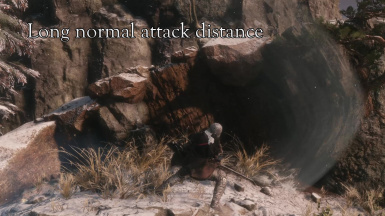 I imported it into Sekiro with the correct attack distance, so that you can enjoy yourself as a great sword shinobi/hunter. If you want the Maria mod, click here﻿ .